I have never been to Thailand nor have I tasted Thai food. So when I was contacted to sample some Thai Taste products and use a Thai inspired recipe, I was so excited. It would be the first time I tried my hand at cooking Thai food- so no pressure then Sophie. I was sent a few recipes that I could choose from however only a few were vegan friendly therefore I had chose to do the Pumpkin Galangal and Coconut Soup, it sounded great and something I had never tasted before. If I’m honest I never even heard of Galangal until I seen the recipe, I was a little nervous about this ingredient so searching what it was I found out it was apart of the Ginger family. I wasn’t so nervous about eating it after that. 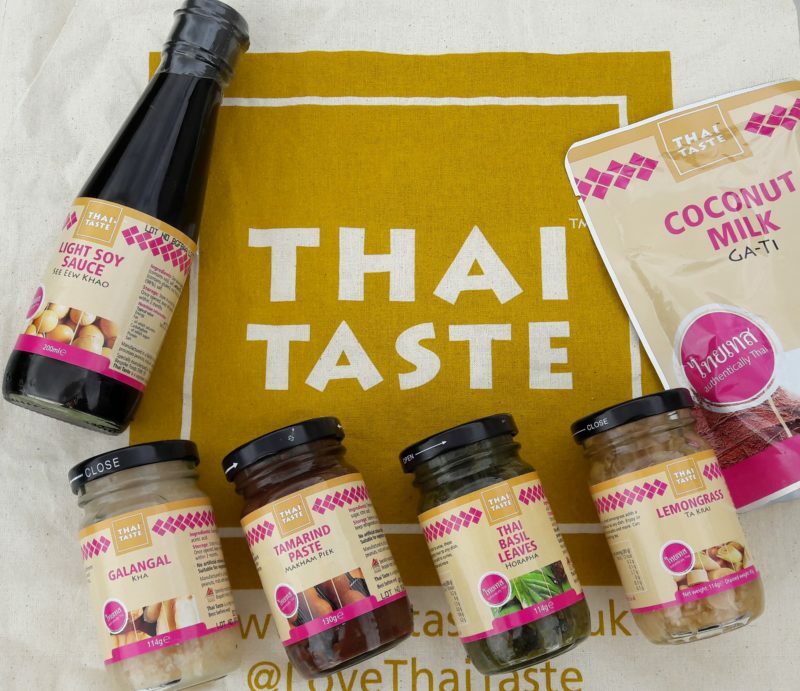 A little about the company then, Thai Taste is a brand that is located in the UK which sells Thai ingredients for you to create all the meals you would find in Thailand but in the comfort of your own home. 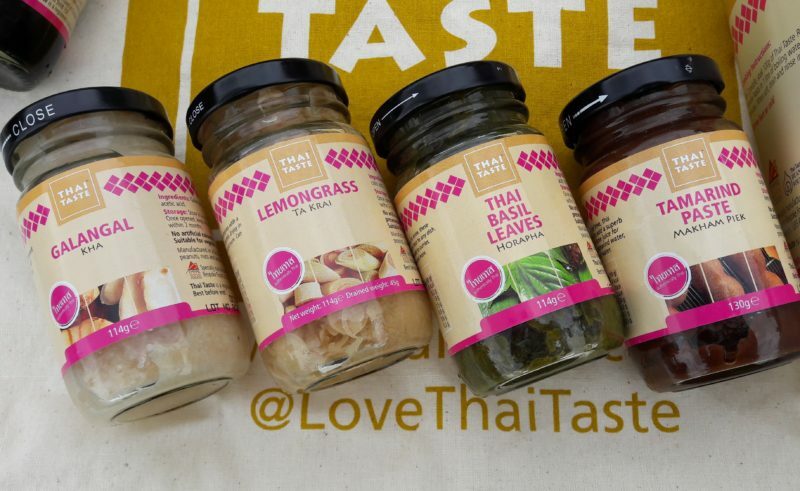 Thai Taste have over 50 products in their range to help you rustle up the authentic Thai food you would usually have in Thailand. These products provide authentic, consistently delicious flavours every time and are easy to use in the recipes provided on the website. Along with this the company gives back to their partners over in Thailand, a % from every Thai Taste purchase is donated to the Duang Prateep Foundation, a cause which supports poverty stricken people and vulnerable communities in Thailand. It is always great to find a company that helps people in need. 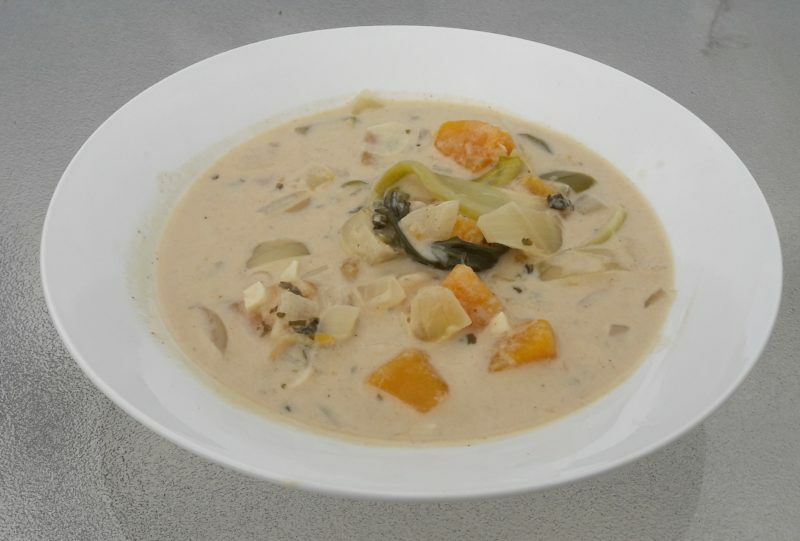 The recipe ‘Pumpkin Galangal and Coconut Soup’ I will be following was created by Seb Holmes at Thai Taste. As I didn’t have a pumpkin, I opted for butternut squash which is a perfect substitution to the pumpkin. This recipe is a great mix of sweet and spicy, so for all you people who don’t really like spicy food this is perfect, with the added chilli & sweet basil you can truly taste the essence of Thailand, it’s like sitting in a restaurant by the beach. A creamy, salty, a little spicy, aromatic with a fresh hint of lime soup. 1. Firstly, in a small sauce pan bring a little water to the boil and then submerge the squash into it, then turn down to a simmer, continue to gently cook for around 3-4 minutes until soft but not quite cooked and then remove from the heat and put aside for a few minutes. 2. Next place the vegetable stock, 100ml of the coconut cream, soy sauce, tamarind sea salt, galangal, birds eye chillies, lemongrass, lime leaves, pumpkin, pak choi and Thai shallots into a medium sauce pan and bring to a simmer. 3. Once simmering continue to cook gently for 4-5 minutes until all vegetables have softened with flavours infused. 4. Finish by adding the rest of the coconut milk and the sweet basil, then serve into soup bowls lined with the cooked vermicelli noodles, the residual heat from the soup will heat the noodles. 5. Lastly check the seasoning, it should be creamy, salty, a little spicy, aromatic with a fresh hint of lime at the end, adjust to your own tastes if needs be. Ingredients were sent to me from Thai Taste to recreate this recipe.